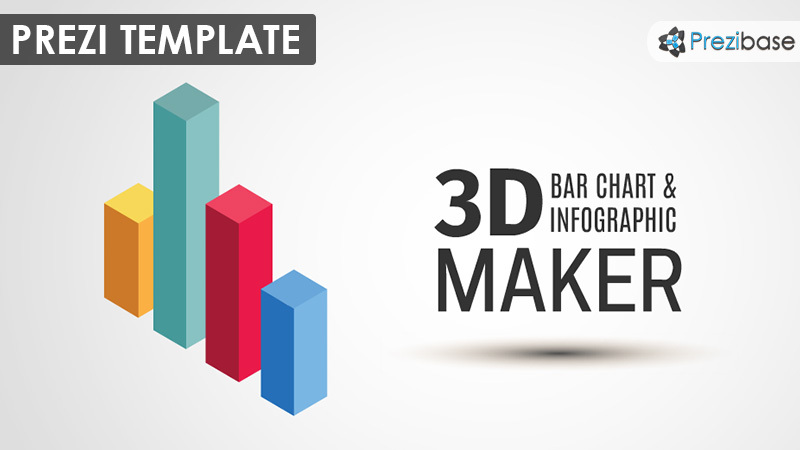 Prezi Presentation Template for creating awesome 3D bar Charts. Make your statistics more interesting and present them with colorful 3D bars. Template contains 7 different colors and 2 pieces: a cube and a little more flat bar. Endless possibilities: combine the elements and create unique layouts. Present your creative business reports, growth or downfall, company details, or any kind of other infographics. Visualise the numbers and make the audience see the difference between numbers. Good template for accounting and finance presentation or any kind of Prezi related with money, finance, numbers, data, analysis or statistics. This entry was posted in Best Prezi presentation templates and tagged 3d bar chart, 3d bar graph maker template, 3d chart, 3d chart maker, 3d diagram maker, 3d graph, 3d prezi, bar, bar chart, bar graph, bars, business, chart, chart maker template, charts, company, creative, data, generate 3d bar graphs, graphs, info, infographical, infographics, information, line chart, numbers, numerical, prezi bar graph, prezi template, prezi templates, statistics, stats.